Anyone looking for a great Lake Vermilion resort cabin the third week of June, (June 22 – 29) give us a call. Cabin 2 is our most popular option, with 3 bedrooms / 2 bathrooms. Add in a perfect lakefront location near the pool. It was just given up this morning by the party that reserved it last June. It is a good option for 4 – 8 guests and has satellite TV, WI-FI, two refrigerators and much more. While week long stays are the most cost effective way to stay, we offer short stays that start or end on Saturday. While we have a couple 3 night stays early in June, this is the only full week option we have between June 1st – June 29th. Don’t miss out. OR, consider a visit the following week and save a vacation day! How is the Lake Vermilion fishing in June? Usually by that time in June the weather has settled into a more consistent pattern. The walleyes have transitioned out of the shallow bays. Bass and northern fishing is typically very good and the musky action begins to pick up as the spawn has wrapped up. Panfish can provide lots of fun as well. The cabin includes a reserved dock space with electricity at the shore, just out front of the cabin’s screened front porch. A paved DNR launch at the end of the resort and paved roads all the way to us make it is easy to bring your boat. 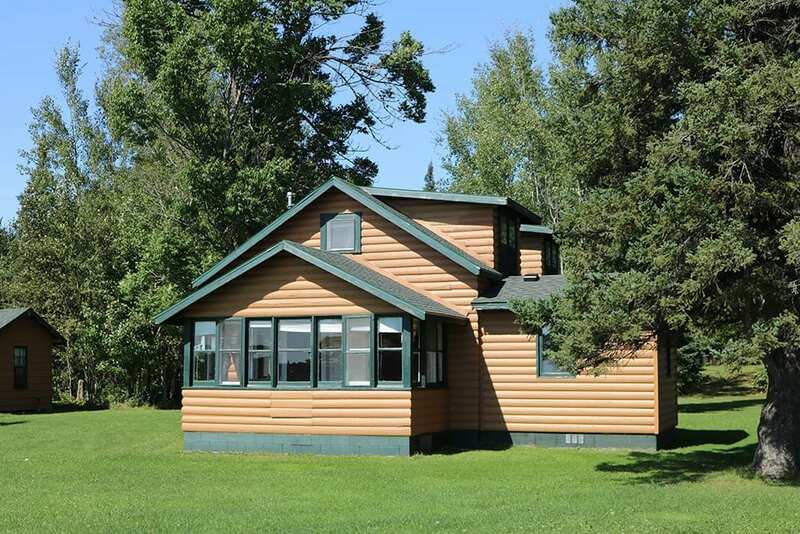 With bait, gas & ice on-site, a heated swimming pool and sauna, free water toys, nearby restaurants and many great Lake Vermilion attractions, this is the best place to enjoy a Lake Vermilion fishing trip or family vacation.